San Francisco, CA (USA) -- Last night, at a Berkeley fundraiser for the East Bay Meditation Center, prominent Insight meditation teacher Joseph Goldstein gave a general talk on Buddhism, and as he spoke in his gentle, warm, candid, funny, luminously clever way, I felt a familiar tightening in my stomach. The talk started out like this. There is tremendous suffering in the world. It’s not hard to see. War, oppression and destruction. But if we look closely, we find that the root of that suffering is in the mind. Greed, fear, and hatred. And it’s not just “other people” who have this greed, fear, and hatred; it’s us, too. Therefore, using Buddhist teachings, we turn our attention inward toward the mind/heart, healing suffering from the inside out. Later, when asked whether his Buddhist practice could be formulated into a plan for social change, Goldstein said Yes: through compassion. 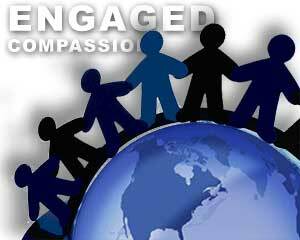 Not a simplistic type of compassion, but a compassion that is born out of nearness to suffering. This is more difficult than it sounds, he noted, because our deeply ingrained habit pattern is to try to push suffering away from ourselves. Get rid of it. But in order to have strong, profound compassion, we need to go toward suffering. Without romanticizing it, but seeing it for what it is. Now, I like Joseph Goldstein. I saw him speak once before at the Cambridge Insight Meditation Center, and he’s hilarious and wise and a gifted storyteller. And on one level, I agree with what he said last night. The problem, for me, was what went unsaid. Here are a few of my disagreements with what I hear as spiritual liberalism, coming from my friends in dhamma. Again, even as we all work toward developing compassion and reducing global suffering, we have tremendously divergent views on what this means. Often, this gets construed to mean: build the best alternative society you can, and slowly it will change the entire society. Especially in Buddhist communities that prize extended retreat time, a decade of study with a realized Asian master, and this sort of removal from everyday householder affairs, there’s a danger of trying to build our sanghas into utopias, and assuming that they will automatically radiate peace and well-being into the world. Might be true on an individual or small-group level, but why should we believe that we can scale up well-being from personal transformation to world peace, without specific strategies for tackling enormous material systems? 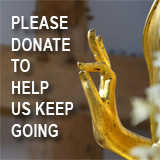 Compassion lies at the core of the dhamma, one of its most beautiful and powerful dimensions. But when we treat it as self-evident in conversations about social liberation, putting it at the end of the sentence instead of the beginning, I fear we do great injustice to its meaning. 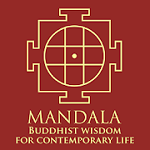 Looking forward to finding and contributing to a radical sangha in the Bay Area whose work extends beyond the healing, service, electoral-political and identity realms. (Where dhammic folks are already great and strong.) Any leads? Blogger and writer Katie Loncke lives and works at Faithful Fools, an interfaith community center addressing poverty and homelessness in San Francisco.